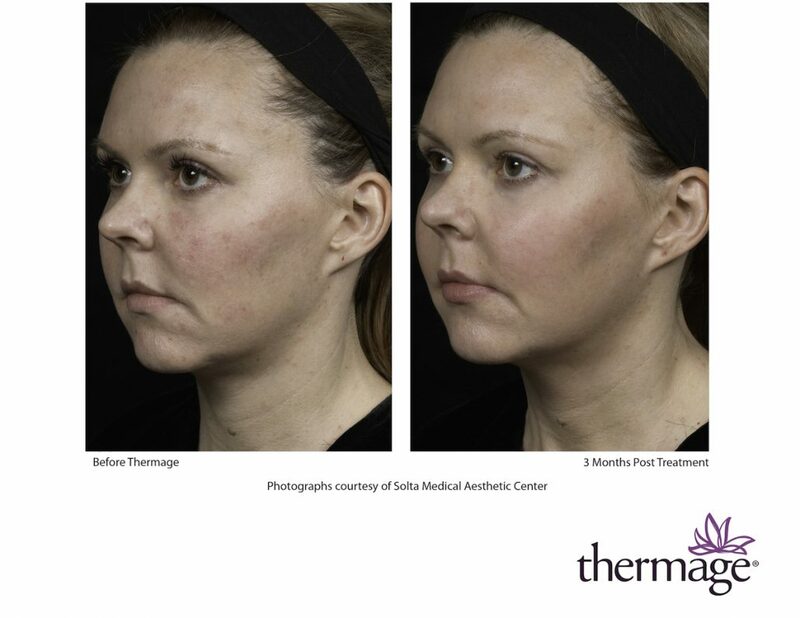 Thermage® is a safe, non-invasive procedure that’s clinically proven to tighten and contour your skin. Its unique deep-heating technology stimulates and renews your own collagen, resulting in tighter, smoother skin. 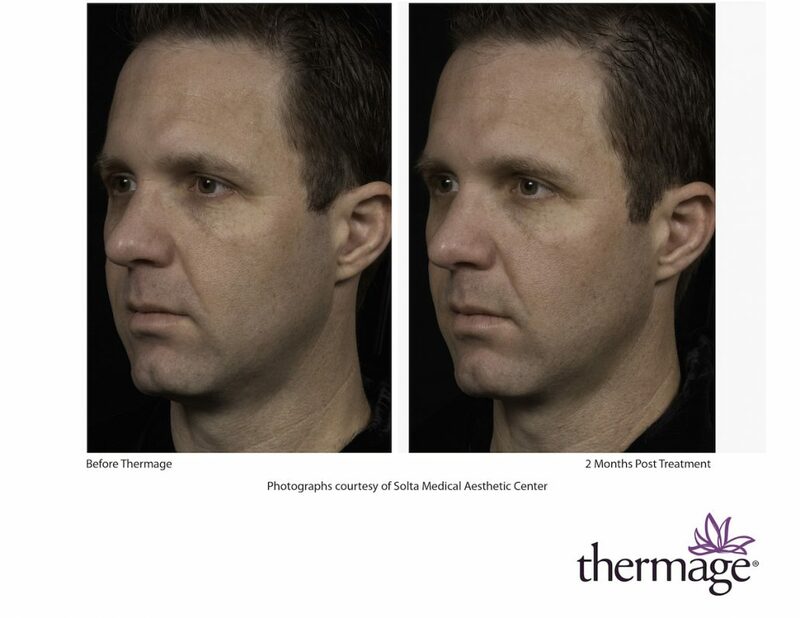 Thermage® is completely non-invasive – no surgery or injections. 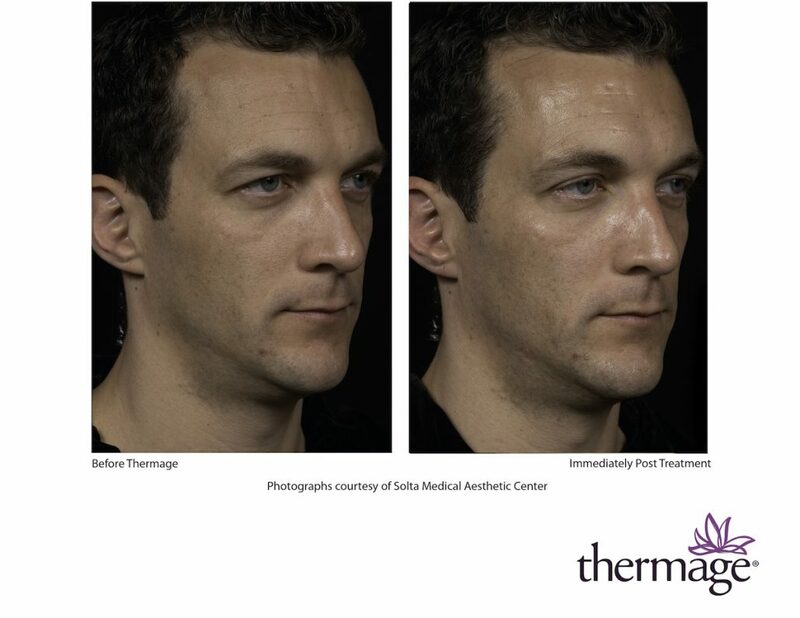 Unlike lasers, Thermage® works on all skin types and tones. 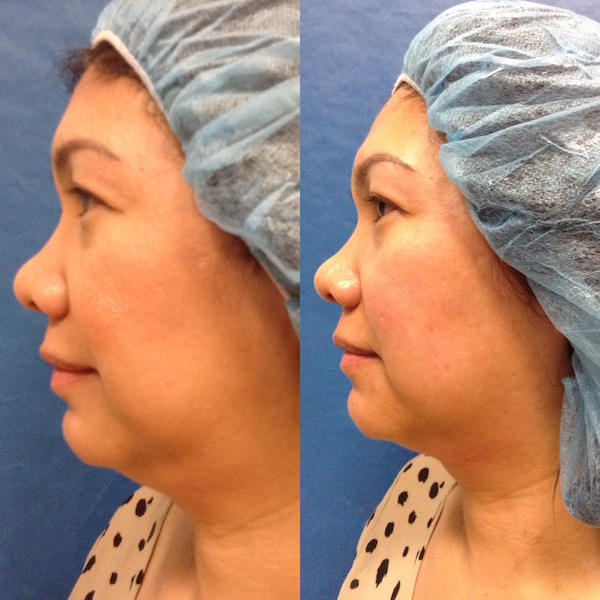 The procedure is typically performed in a single session. And there is little to no downtime required so you can quickly resume your normal routine. Did you know that Ageless & Beautiful offers Thermage® treatments for the entire face, eyelids, chin, neck, arms, neck, buttocks, stomach, legs and hands? “Omg, did the Thermage w/Janet (the Sculptress!). Please don’t listen to all the Online reviews that say it’s painful & scary–cause it’s not/at all! To understand how Thermage® works, it helps to know a little about how your skin works. The facial skin is made up of three distinct layers: a visible outer layer on the surface called the epidermis, a collagen-rich underlayer beneath the surface called the dermis, and an inner layer beneath the dermis called the subcutaneous layer (also known as the fat layer) that has a web of collagen fibers running through it. As you age, collagen in these three layers break down and the skin on your face begins to sag and wrinkle. Naturally, treatments that work on just the surface can’t do anything or restore the collagen in the dermis or the inner subcutaneous layer of your skin. 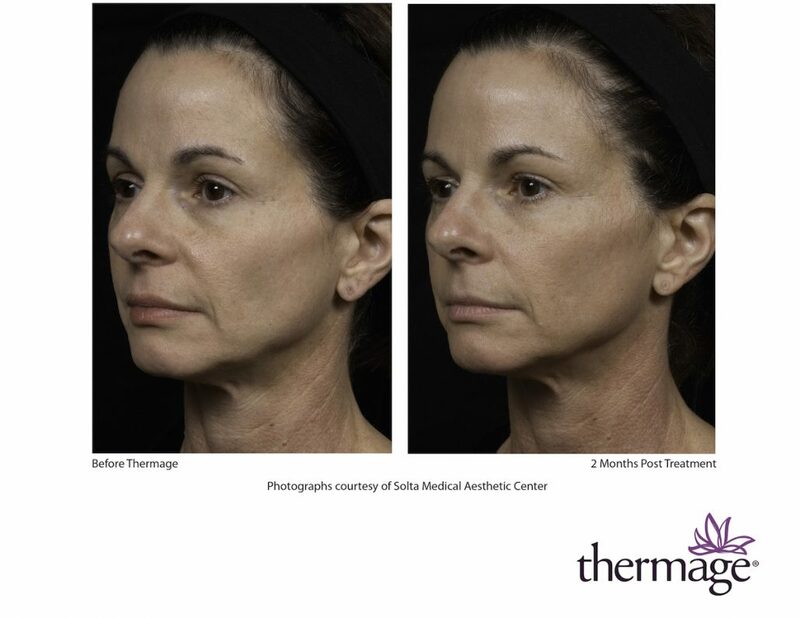 Thermage® is the ONLY non-invasive procedure available that tightens and renews your skin’s collagen in all three layers. How? 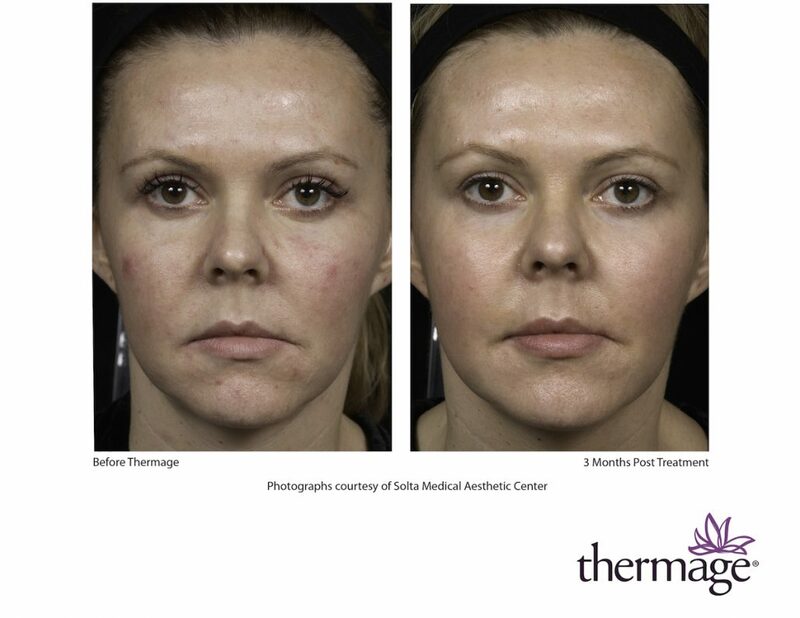 Thermage® uses a unique Capacitive Radio Frequency (CRF) technology safely heats your skin’s underlayer and the web of collagen in the inner layer, causing an immediate tightening as well as improved tone and texture. The improvements will continue and become even more noticeable for four to six months following treatment, due to new collagen growth. 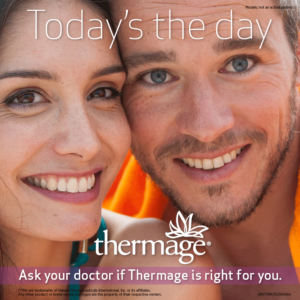 Thermage® is safer than invasive cosmetic procedures. Unlike lasers, it works on all skin types and colors. Best of all, you only need one treatment to obtain the full benefits. In addition, there is no downtime, so you can quickly resume your daily routine. 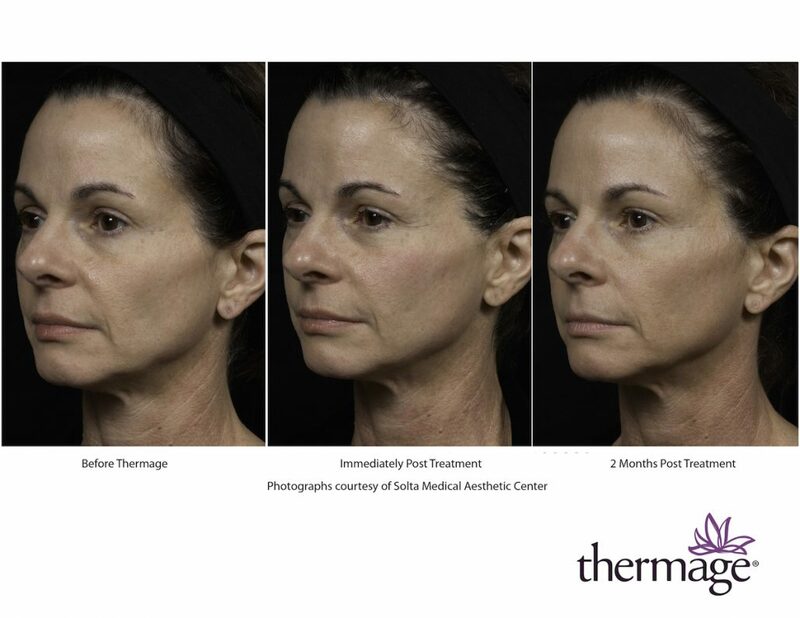 The Treatment Procedure During the treatment, you’ll feel a brief, heat sensation each time Thermage® delivers energy to the underlayer of your skin. 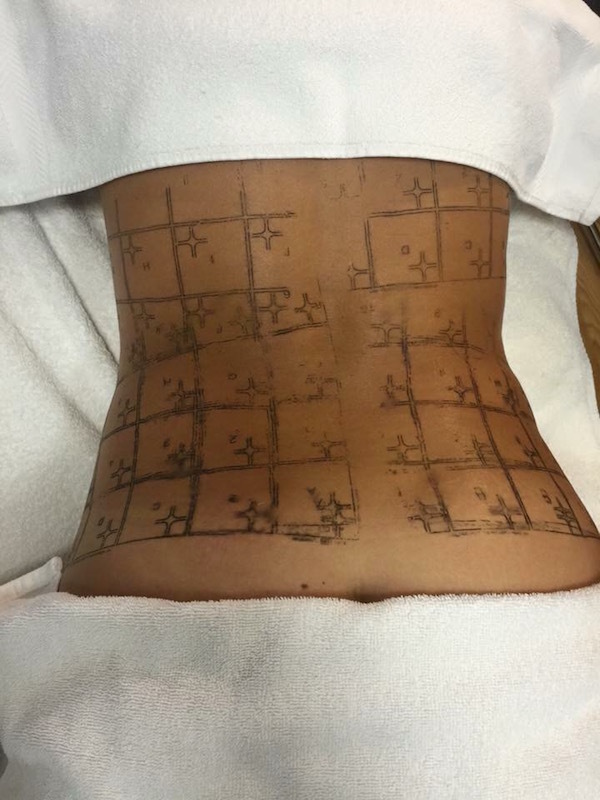 This indicates that your collagen is being stimulated and tightened. Thermage® is a very safe procedure. Side effects are generally mild and may include redness, swelling, blister, bumps and rare instances of surface irregularities.